Because we understand that every wedding is original, feel free to let us know if there’s something special you would like us to include - we are always happy to tailor our packages to suit your needs. Destination wedding? No problem! Although we are based in Cairns, we are available for work all over Australia and our passports are always up to date! We specialise in making Highlight Films – a 4 to 6 minute video that captures the key moments of your wedding day. Each Highlight Film is always little different, simply because every wedding day is different and we aim to capture the essence of your unique experience. We provide your completed video as a HD MP4 file, which is perfect for sharing on social media and playing on Smart TVs. The highlights package is a compilation film of your wedding day that runs for around 4 - 6 minutes. It showcases all of the special moments and key aspects of your wedding. • Videographer present for the full wedding day. • HD highlights video of your wedding day. • Social media teasers. 60sec clip for FB & Instagram + 15sec vertical clip for Instagram Stories. • All videos posted to you on a USB stick. As part of our other packages we also provide videos of your speeches from your reception and full coverage of your Ceremony. To relive those special moments. 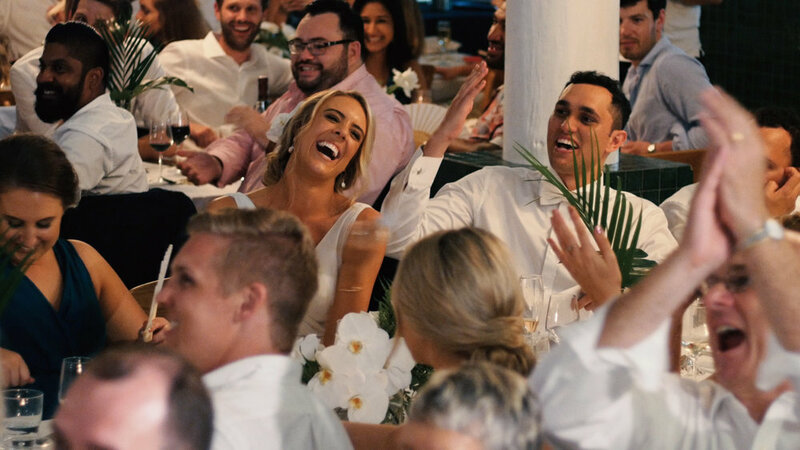 This package will include your Highlights video as well as video recordings of the special things people spoke during the reception speeches. • HD video of the speeches. The deluxe package is designed for couples who want it all. As well as your highlights video you will also have full coverage of the ceremony, and a complete video of all the speeches. • HD video of your ceremony. Wanting a little bit extra? Our extended Highlights Films option expands your highlights film to 8 - 10 minutes. To book, send us an email with the date of your wedding, the location, a little bit about you and any further questions you have. In order to lock in our services for your wedding date we require a 20% payment on your chosen package. We always try to meet up with every couple that books with us, that way we can chat about the day and ensure we have everything we need to capture your day. If we can’t meet in person a phone or Skype call works as well.